He calls Robin Roberts, Diane Sawyer, and David Muir his colleagues. See how he cooks Thanksgiving at home. Also at dinner with Osunsami (right): Joe Remillard (center), Ayn Remillard (left), and Marguerite Madden (bottom left). Not pictured: neighbors John West and Michael Lappin and friends Robin and Doctor Le’Roy Reese. 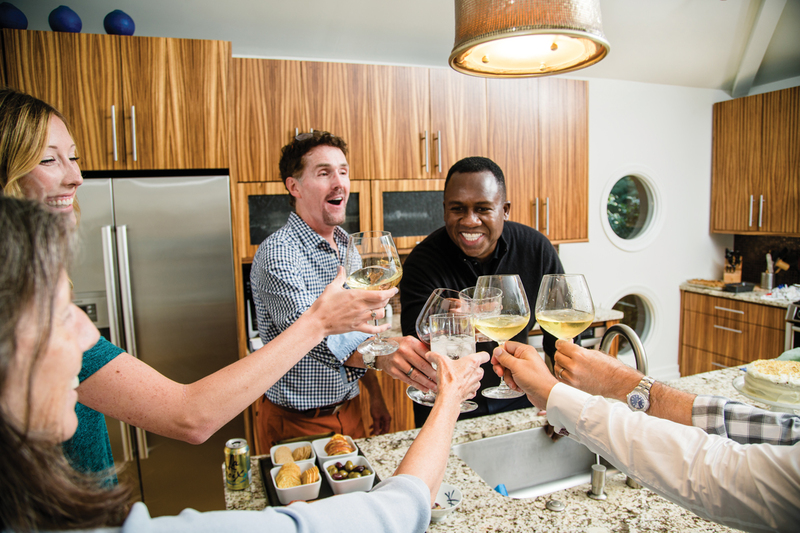 Gathered around Osunsami’s table is, as he puts it with a full-bellied laugh, his “very modern family.” There’s his husband, Joe Remillard, an artist (his oil paintings line the walls of their dining room) who teaches at Kennesaw State University; Remillard’s ex-wife Marguerite Madden, a professor at the University of Georgia and director of its Center for Geospatial Research; and their daughter, Ayn Remillard. 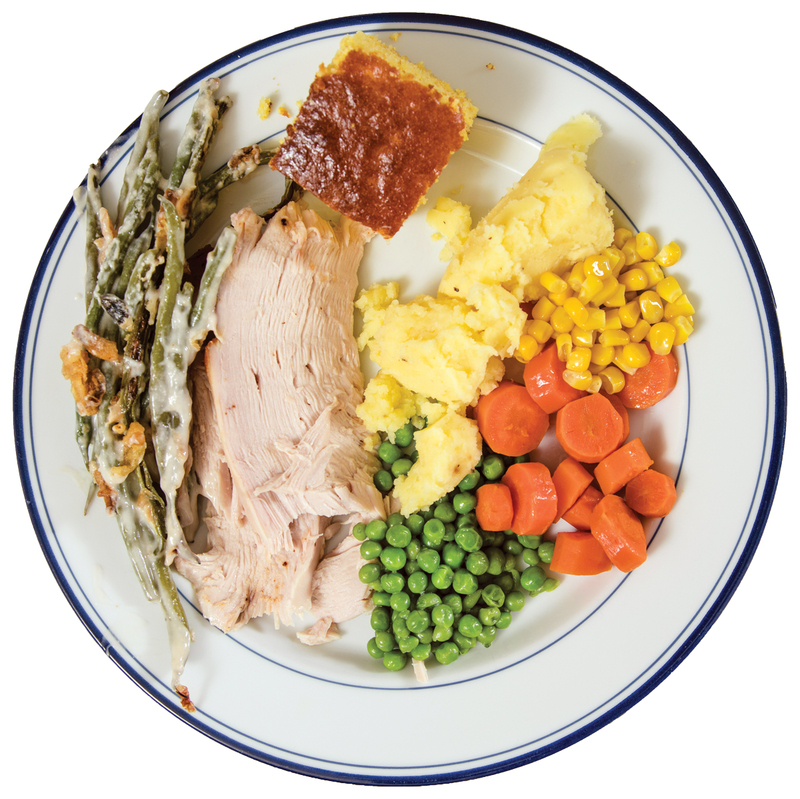 After hours in his LaVista Park kitchen, Osunsami brings his dishes to the dining room: corn, carrots, peas, sausage stuffing, green bean casserole, mashed potatoes, gravy, cornbread drizzled with butter and honey, turkey, and ham. “That’s in case I screw up the turkey,” says Osunsami. But he never does. Osunsami runs the show in the kitchen; Remillard decorates the table and ultimately portions out the turkey. “He was raised in the country,” says Madden. “He knows how to carve a turkey!” Indeed, Remillard was one of 14 children who grew up on a dairy farm in Clinton County, New York.